Press the System Menu key. Press [Report] and [Next] of Print Report. 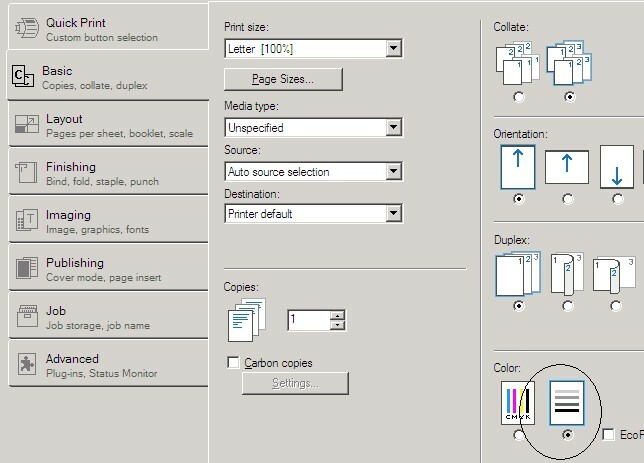 Press [Print] for the report you want to print. Printing starts. A confirmation screen appears. Press [Yes]. Scan to Email, all is required is to enable the SMTP protocol and input the SMTP Server name/address and the default send from address. The default send from address does not have to be a real one e.g. sales-depart-copier@4office.com . The scan image will be received as an email attachment. Scan to FTP, is similar to the Scan to SMB but it required a FTP server. Our FTP Software Utility can be used to turn your computer to a small FTP server. The value in Print Using will change to Kyocera xxxxx. 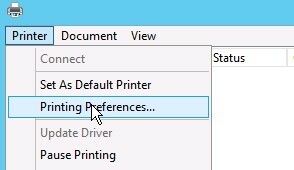 Click Add, check any options you have installed on your printer, click Continue and you are done.